People living in and around Tamworth in Staffordshire - and the rest of the UK for that matter - are being urged to join a social media campaign dedicated to one of the most powerful and influential women in Anglo-Saxon history in England. 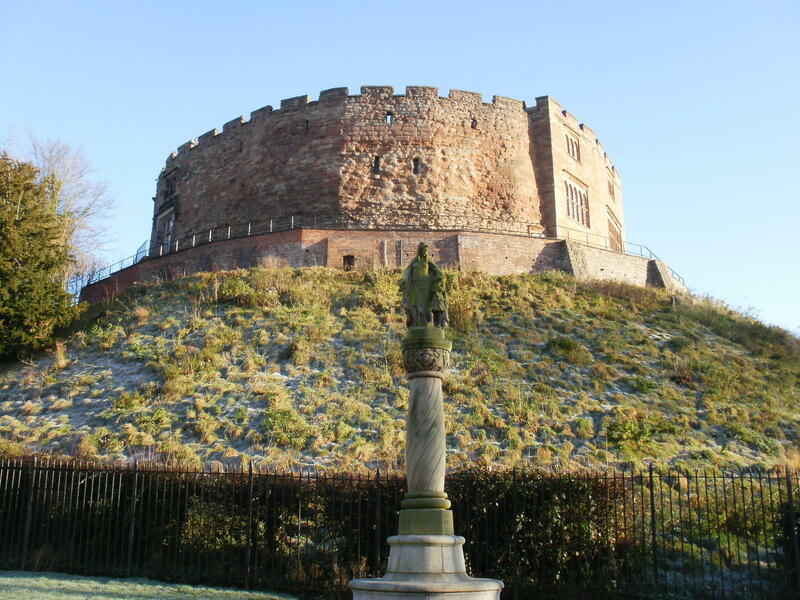 This year sees the 100th anniversary of the death of warrior queen Aethelflaed, Tamworth's Lady of the Mercians and the daughter of King Alfred the Great, who died on June 12, 918, having helped drive the Vikings out of much of what is now central England. 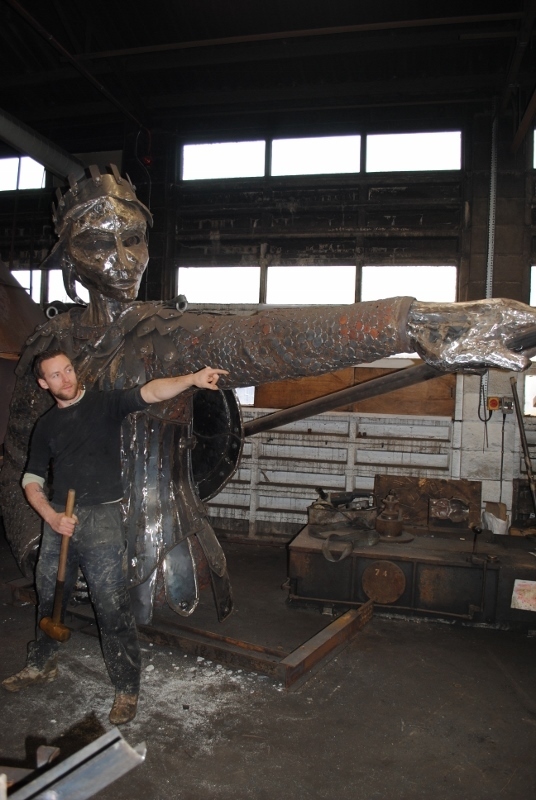 The centenary of the death of Aethelflaed will be marked with a number of major events across Tamworth, including the much-anticipated unveiling of a new six-metre statue by artist and sculptor Luke Perry on a roundabout near Tamworth Railway Station this spring. And to commemorate the homecoming of Aethelflaed's statue, which has been affectionately named 'Our Aethel', Tamworth Borough Council is asking people to join a social media campaign and #DotheAethel. People are being asked to simply take a picture of themselves, or with their friends, replicating the pose of the imposing steel statue currently being completed and then share the photo on social media with the hashtag #DotheAethel. The hope is that the campaign will attract attention across Tamworth and beyond to raise awareness of this formidable female warrior and the part she played in the making of England. The local authority is looking for as many people as possible - individuals, groups, businesses, schools and celebrities - to join the celebrations and 'Do the Aethel', possibly at an interesting event or location. The social media campaign is being launched at the St George's Day festival which is taking place on Saturday 21 April in the grounds of medieval Tamworth Castle. 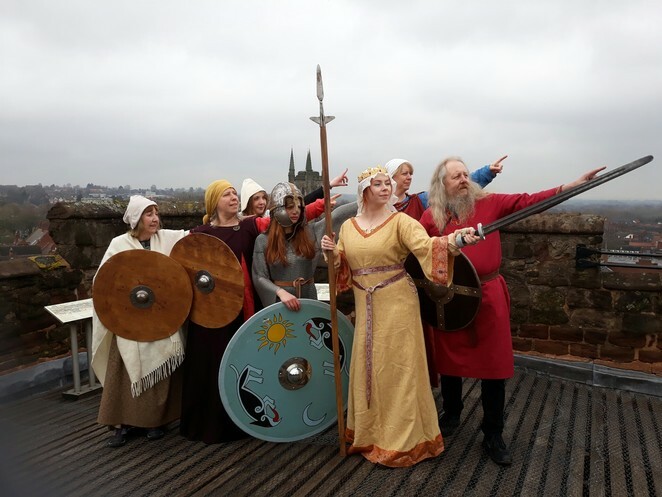 To join in the campaign, people are asked to share their pictures on social media, tagging @VisitTamworth, using #DotheAethel and #Tamworth to help spread the word about the Lady of the Mercians and her rightful place in Anglo-Saxon history around the country and even beyond. Other events marking the anniversary of Aethelflaed's death include the creation of the Mercian Mosaic - Tamworth's biggest ever piece of community art; a major commemorative service at St Editha's Church attended by Bishops, historians, and TV personalities, with VIPs and celebrities; a lecture by historian and broadcaster Michael Wood on the subject of Aethelflaed, a major conference due to be attended by historians and scholars from around the world, and the creation of a commemorative Aethelflaed Ale.